Just in time for Modernism Week, the Totem Linear Pendant is hung in this historic Palm Springs dining room. A renovated 1950's motor inn is the perfect setting for the mid-century modern Totem Linear Pendant, new to Boyd Lighting's collection for 2018. Now a condo, its retro dining room has amazing views of palm trees and the surrounding mountains. A Formica table original to the hotel, a painted brick wall and gauzy curtains all fit nicely with the white and gold LED pendant. 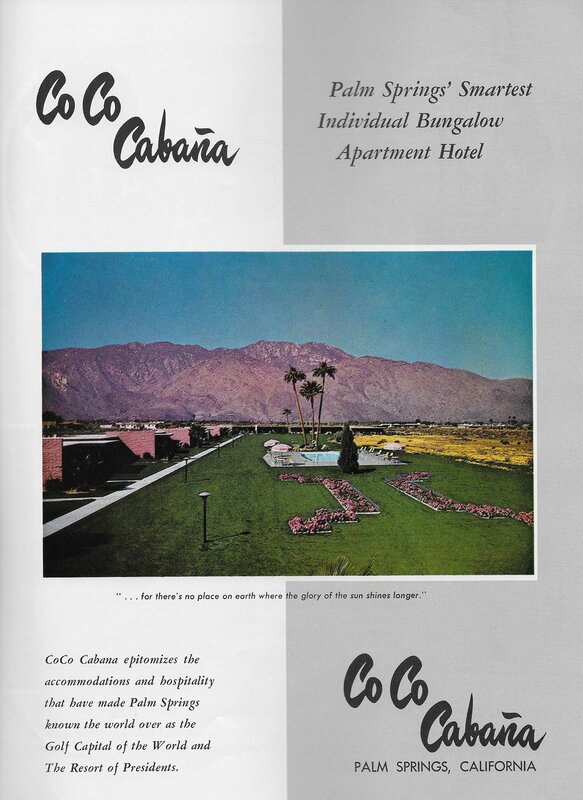 After World War II, Charles W. Doty designed the CoCo Cabana apartment hotel which opened in 1956. The 31 clustered, mid-century modern apartments were organized around a central garden. As a post-World War II commercial development, the "CoCo" was significant in reflecting the continued importance of tourism in Palm Springs after the war. It was converted to condominiums in the 1970s. Featuring stacked and adjustable oval and trapezoid shapes, the nostalgic LED pendant comes in a variety of finish combinations and cast form compositions. Extending straight down from a linear canopy hangs your desired quantity of staggered-length stems (3 or 5) which are threaded with your desired quantity of cast forms (3, 5, or 7) and cast form composition: all ovals, all trapezoids, or a mix of both. Customize the direction of the light by swiveling the cast forms and orbs left and right. In the center of each cast form is a round acrylic orb concealing an LED lamp which provides dimmable, 3000˚K, 90+ CRI energy efficient illumination. The fixture is available in Cloud or Coal. The insides of the cast forms are available in Cloud (only available when the fixture is finished in Cloud), 12k White Gold Leaf, or 22k Yellow Gold Leaf. The fixture width with 3 stems is 37.5" and with 5 stems is 65.5". The HOA with 3 cast forms is 41". The HOA with 5 cast forms is 57". The HOA with 7 cast forms is 73". Designed by Charles W. Doty in 1956 as an apartment hotel, the CoCo's 31 attached units are clustered in two areas on the expansive property which is dotted with palm trees. The mid-century modern-style complex features six floor plans of two bedroom/two bath and one bedroom/one bath units. The simple, flat-roofed designs eliminated windows on the front elevations, and the walls of each unit are angled slightly to provide some privacy. In favor of views towards the garden interiors, all units open onto a lushly landscaped garden area with recreational facilities including the pool and two tennis courts. Many units also have private patios enclosed by lush landscaping with mature citrus trees. It is significant as a post-World War II commercial development, reflecting the continued importance of tourism in Palm Springs after the war. It was converted to condominiums in the 1970's.